If you happen to be in South Australia at any time and you want to join us on one of the events listed below, drop us a line and we’ll forward you further details. As new events are added to the calendar we’ll post them here. Prospective new members are always welcome to attend one of our meetings, where we will fill you in on details about the Club and its activities. Grade 5 = Extreme 4WD. When members are participating in trips involving Sand Dunes, Sandy tracks or high Mallee type tracks, and visibility is restricted, each vehicle must be fitted with a red flag, situated at least 1 metre above the roof level. 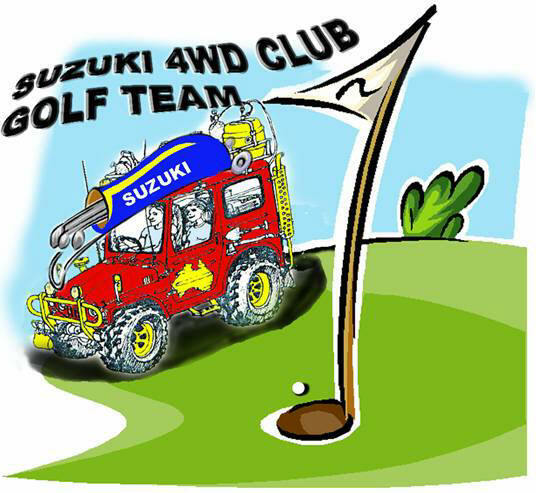 The club has some of these "Sand Flags", with universal fittings to suit all vehicles, available for loan if required. Communication between vehicles whilst on club trips normally takes place via UHF CB Radio, using Channel 16 Simplex. Other channels may be used depending on conditions and frequency usage in particular areas. Members are encouraged to monitor UHF Channel 5 (Emergency Channel) and UHF Channel 10 (National 4WD Channel) where possible. Members may borrow a Club UHF Radio/Antenna kit on a trip-by-trip basis, until they acquire their own UHF Radio. 18th -19th May 2019 - Celebration of 4 Wheel Driving - Birdwood S.A.